In Austin, there is a flat daily rate of $89 for the rental, but Silvercar has launched a promotional partnership with Virgin America, so by going through this link and using the coupon code VXBINGO, I was able to get $51 off each rental day for a rate of $38, as well as 2,500 bonus Virgin Elevate points (you get another 2,500 after 4 rentals) and 4 points per $1 I spent on the rental. Luckily, we all fit and the drive was short. By the time we got to the airport, I had received my e-mail receipt, charging me a very reasonable market price for gas – another innovative feature of Silvercar so you don’t have to waste time finding a gas station to fill up the tank before returning your car – plus a flat $5.00 mark-up fee. After the gas charge and rental car fees and taxes I ended up paying right around $70 for my one day rental. At Austin Bergstrom Airport, the rental cars are simply upstairs and outside of the terminal, which is a very short walk. In this case, it is probably easier to walk across to a traditional rental car company than the Silvercar experience, though you’d also most likely end up paying quite a bit more for a comparable car, and I did like all the bells and whistles in the Audi A4 plus the convenience of not having to fill up on gas or get myself to/from the airport. For such convenient airports, Silvercar’s luxury experience is its true advantage, but I will say the car is not remarkably nicer than my typical upgrade with National. 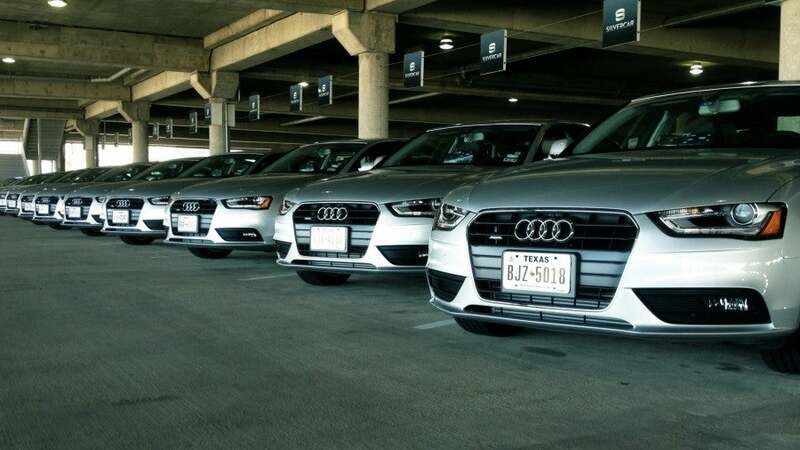 At other airports, such as San Francisco or Dallas where you have to take a shuttle or tram, however, Silvercar’s door-to-door would be a huge convenience and an advantage that I wouldn’t mind having. All in all, it was a decent experience and one tailored to business travelers on-the-go who appreciate personalized attention matched with efficient customer service, and I’d recommend it to others. I’m not sure the $89 daily rate would be worth it for a longer rental, but thanks to the Virgin America coupon code and bonus points, I was able to get a reasonable rate that made the rental worth it in my opinion.